Great New England Zoos, Bar None! Article and photo by Eric H.
I love going to the zoo. Growing up in New England and visiting, most prominently, the old Stoneham Zoo (before it became the Stone Zoo) in Stoneham, Mass., and the Franklin Park Zoo in Boston, Mass., evokes memories of a carefree, fun, entertaining and educational summer all rolled up into one family field trip. It's almost like visiting the zoo was a rite of passage into an official New England summer school vacation. Going to the zoo in the summer does seem like part of our DNA, as if we were inherently wired to enjoy the animal displays and exhibits. There's indeed a timeless and joyful quality to this wonderful type of tourist attraction. Southwick's Zoo, Mendon, Mass. What was a working farm in 1803 and a very mediocre zoo for many years during our youth has turned into, arguably, the best of its kind in New England. With over 500 animals, 100 different species and a dedication to preservation and conservation of all animals, Southwick's Zoo is beautiful-looking, well-taken care of, and, ultimately, a first-class zoo destination. You'll see familiar animals such as giraffes, lions, tigers, monkeys and kangaroos along with lesser known animals like a pygmy goat, ankole bulls and Nilgai antelope. An extensive array of birds and reptiles will satisfy fans of those species. Also features some animal shows, a "rides" section (elephants, camels, ponies), great snack bars, and a limited amusement section. 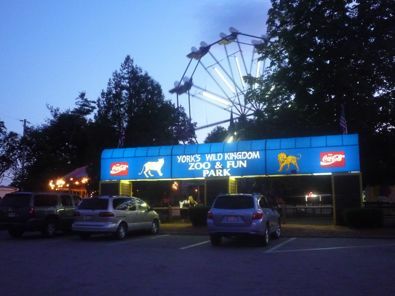 What really brought Southwick's "over the top," however, was the 2008 addition of the 15-minute Skyfari Sky Ride -- this gondola ride takes you on a tour of the zoo from 30 ft. up in the air. Junior Scholar Wetlands Trail -- a quarter-mile stroll through "Rhode Island's most endangered habitat. This includes great blue herons, Canada geese, wood ducks and turtles. The settings at the Roger Williams Zoo are a far cry from the institutionalized tight quarter, "unhappy animal" displays from when we grew up in the 1960s and 70s. As great as the zoo has been in past generations, Roger Williams has undergone $35 million in capital improvements, including "a fully improved Africa exhibit that features an outdoor elephant yard twice as big as the old one, with an immersion pool for bathing; a Children's Zoo with hands-on educational fun and an accessible tree house; a new veterinary hospital for top-notch health care of the zoo's animal collection; plus, an all new North American Trail with the return of Polar Bears!" We strongly recommend keeping up todate with the zoo's ambitious renovations and revitalization by checking back frequently at the Roger Williams Zoo web site. Featuring our latest New England travel insider's news updates and stories, discounts and coupons! Search for Cape Cod and Maine vacation rentals. Buy Boston Red Sox Tickets . Information from VisitingNewEngland.com comes from our editorial staff. 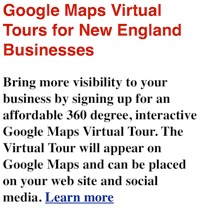 Advertisements do not influence the articles and points-of-view on VisitingNewEngland.com, unless otherwise specified. Rates and event dates are subject to change. We recommend calling your New England destination first before setting out on the planned itinerary. Copyright, VisitingNewEngland.com 2001- . All rights reserved.